Well Damn.. Its missing the front left headlight washer for a start.! Have you checked out the car in person? No.. Looks like good buying I agree, but the issue of the steering wheel is a bit of a hurdle to overcome I think. Really, I think this is the best buying on the market at the moment.. People are paying 60-100 for LHD cars and converted cars. This is the right car with the right engine and the right kms. If you are OK with a LHD this has to be at the top of the list. Kinda regretting wasting my money on the pos I am importing now. Not worth the hassle. What have you bought mike? 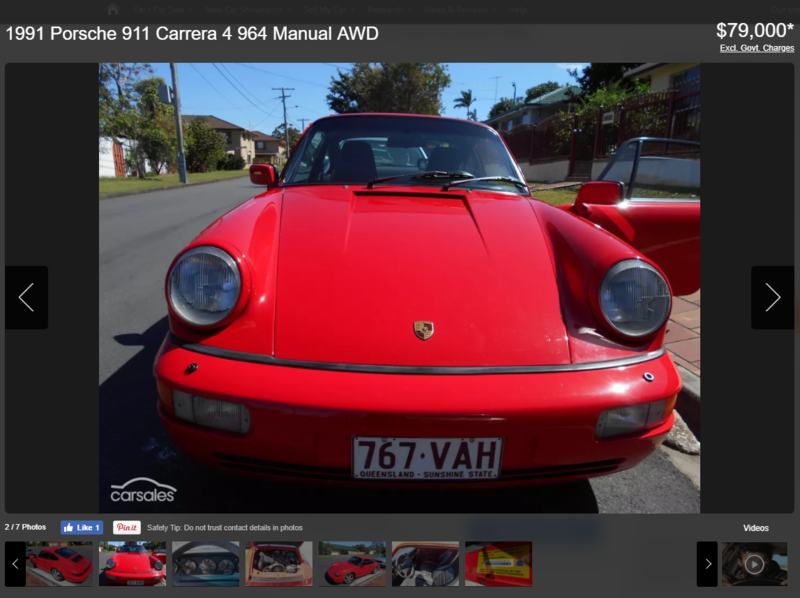 How is this registered in QlD, it’s not 30 years old yet? I thought had to be 30 to be LHD? i think it’s a little high at that but he might be negotiable. 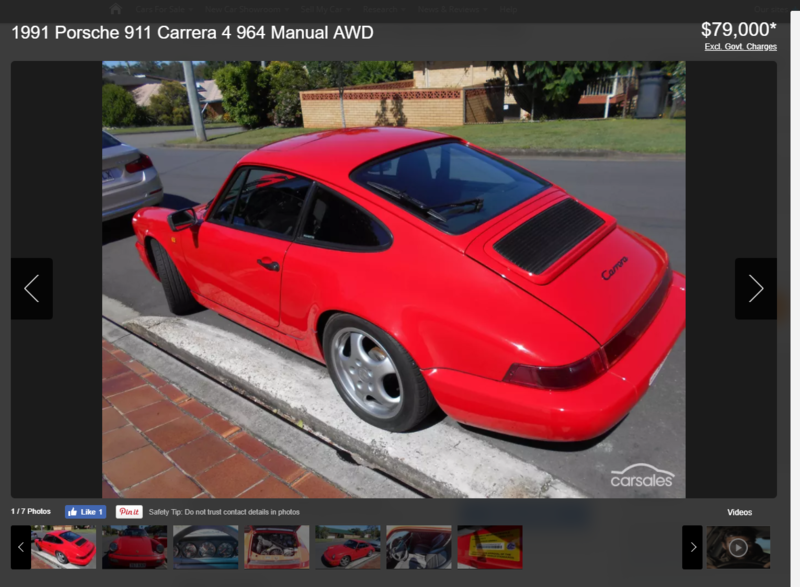 A LHD 964 would be cool - you’d certainly be the only one around. It must have something to do with it being a personal import. Overfilled with oil...low oil pressure....and a broken tacho....? Whats the issue with a private import , normally a better thing , brought by an owner rather than just opportunistically imported to be flipped, a SEVS list import conveyor belt commodity like the JDM players? Or am I prejudice I got one. Shades of Arthur Daley! 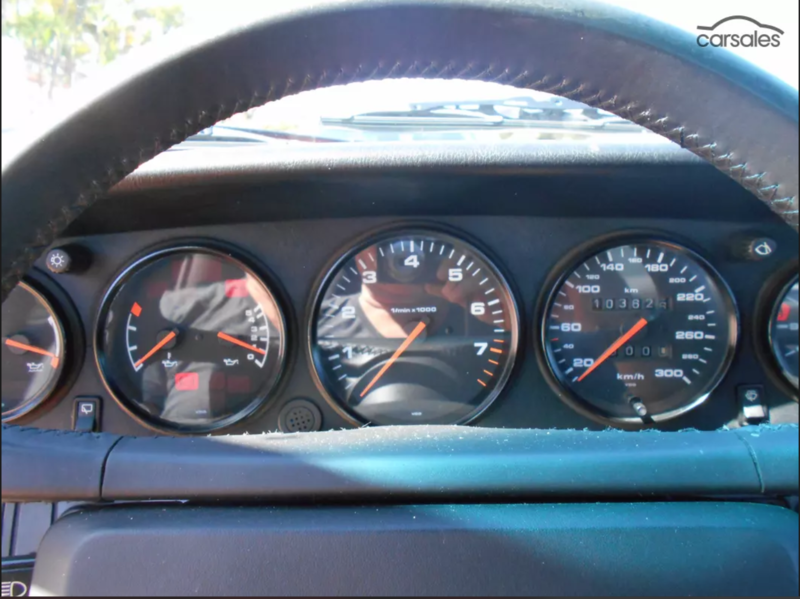 Is it - the old oil-pressure gauge trick?? Yeah not seeing it- the import status is federal, the registration is state. i have two vehicles with the yellow personal import sticker so I am familiar with the process. I’d like to know if the rules have changed for QLD because that would change the shopping list. 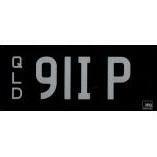 In Queensland, all light vehicles (gross vehicle mass not exceeding 4.5t) that are less than 30 years old must have a right hand drive. Appears to be back up for sale. Wonder if a PPI found anything untoward. Calling @SimonN they finally put a price on this one, $370k. What ya think? 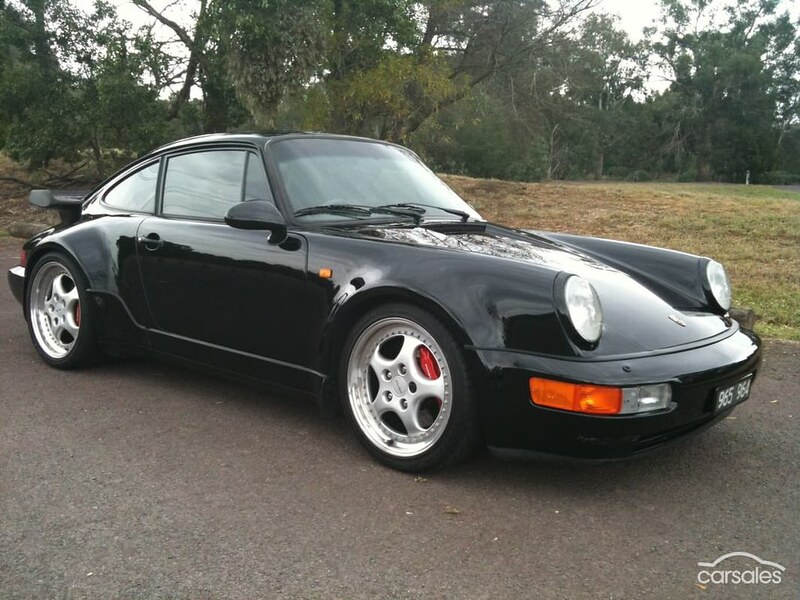 They look great low on Cup rims - doesn’t take much to make any 964 look this good. $370k........seriously? 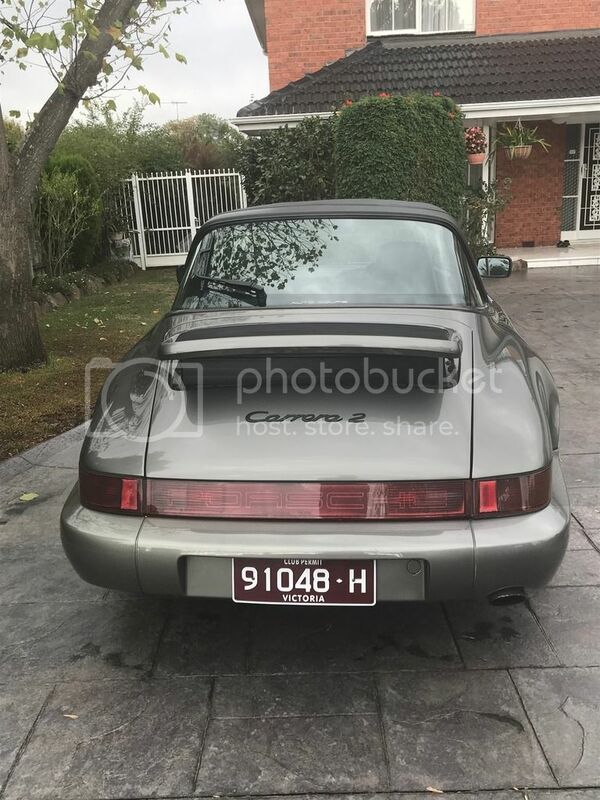 They have had that for sale for ages but I don't think that is a bad price for Duttons ok its a lefthand drive but try and find another one with that many km's. Was in there today, looking at it. One observation re the condition. It looks like it has just rolled off the production line. It's mint! 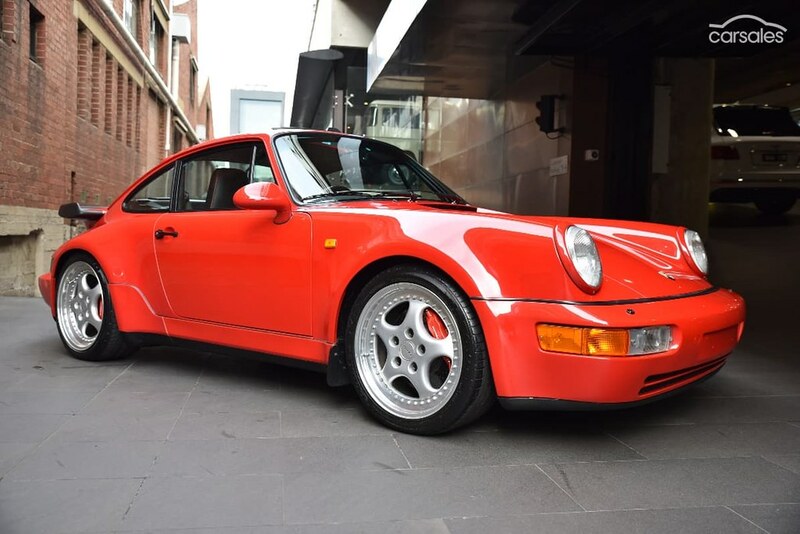 I thought that would have sold by now, i know its a lot $$$$ but like you say its mint then again its been in that showroom a fair bit so it should be. nice - but are people really going to pay that?